Our first Luxe Magazine Cover! 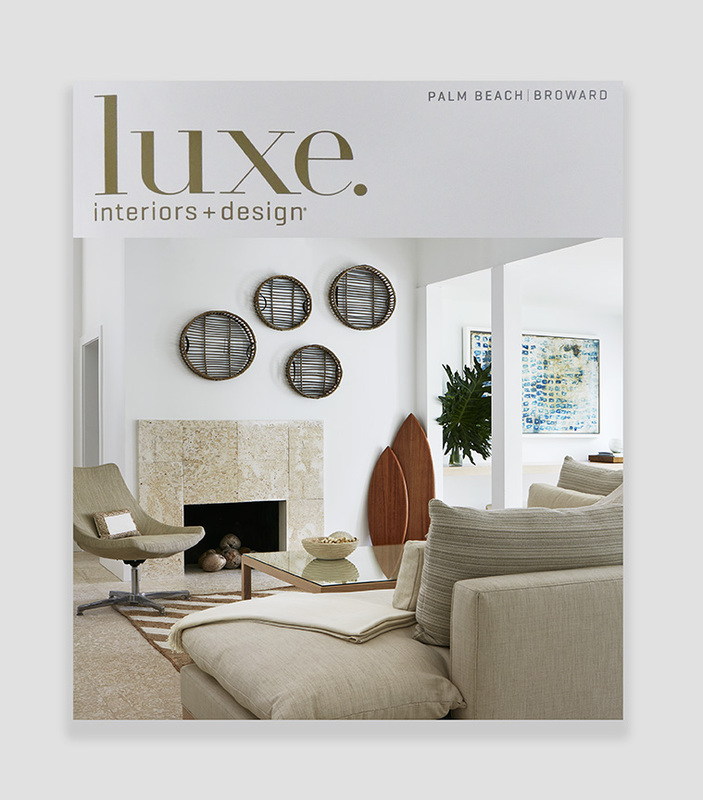 We are thrilled to have our photography featured on the cover of the current issue of Luxe Magazine! This beautiful Delray Beach house is home to designer Erin Paige Pitts of Gibson Island, Maryland. Erin and her husband Gregory, along with their three children, enjoy spending time at their newly renovated beach get-away. Erin created a light-filled home with modern furnishings, symmetry and balance. The neutral palette is accented with touches of turquoise. We enjoyed a wonderful day of shooting with Erin! Check out the 14-page spread in the March/April issue of Luxe!